Our school motto esto quod es (be what you are) represents our core philosophy which shapes each student's individual experience at Wells. This emphasis is why such a wide variety of students thrive here and we are able to tailor our programmes to every sort of individual. More importantly, it is why we are able to produce well-rounded students who go onto be successful individuals in society throughout their lives. We believe this is achieved by providing an accepting community, a wide range of opportunities, and the flexibility to adapt to each individual’s needs. All our pupils live as part of an accepting community where being friends with people with extraordinary talents is accepted as the norm. We invite everyone to ‘give it a go’ so pupils of all abilities can join in at a level that suits them and make the most of all we have to offer. Everyone has a refreshing sense of mutual respect for each other, whatever their interests and talents. programme of outdoor education opportunities, including Combined Cadet Force (CCF) and the Duke of Edinburgh Award Scheme, in addition to the school’s own 909 programme. We are always open to new ideas and will do our best to accommodate your interests if you’d like something we don’t currently offer. We ensure that there is an appropriate mixture of structure and freedom to suit each student from their early days in the Junior School through to the end of their time with us in the Sixth Form, which offers excellent preparation for further education or future careers. With this in mind, our flexibility enables all our students to make the most of their time at school and establishes a brilliant foundation to build on as an adult. This might mean some students take more GCSEs or A-Levels than others; whilst some students spend more time developing in a specific field. We don’t have a “one-size fits all” mentality; we have a “let’s work out what’s best for your future” mentality. Founded in AD909, we are among one of the oldest schools in Europe. Our earliest record was as a school for choristers when the then church of Wells was made into a cathedral. Tracing its history back to 909 AD, Wells Cathedral School is the oldest in the West Country and one of the oldest in the world. It was founded at the same time as the cathedral on the instructions of King Edward the Elder, the second ever king of England, as a joint institution for the education of choristers and those destined for the clergy. Over 1,100 years later this dual identity survives in the school’s unique status as an all-round school providing academic and co-curricular excellence, with a music specialist and choir school embedded within it. We have been fully co-educational since 1969 at all the school’s age groups, from Little Wellies Nursery through to the Junior and Senior schools. 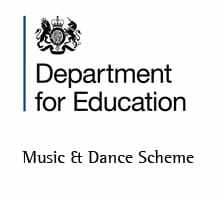 Our Music Specialist programme began in the 1970s, making us the only one of the four English Specialist Music Schools supported by the DfE to operate within the context of a proper school. In 2011 we built on our experience offering specialist music by launching a specialist mathematics scheme for gifted young mathematicians. Today we are a thriving, multi-cultural, co-educational school with committed pupils in all areas of school life including academia, sport, drama, music and community service. Please click here for a more detailed history of Wells Cathedral School. 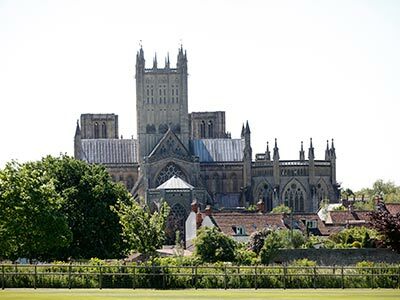 Through our close relationship with Wells Cathedral, we combine work, study and spirituality in a creative mix that runs in harmony with the whole school family. Our school chaplain looks after the overall spiritual life of the school and is available to everyone in the community, whether they have a personal christian faith or not. We have weekly services in Wells Cathedral for the whole senior school and a Sunday evening service for boarders. In addition the whole school gathers together in the cathedral for major Christian festivals. We show the way to live well and happily, and our students are inspired to live with integrity and social responsibility, upholding our rich Christian tradition. We recognise the importance of IT in the modern world and encourage our students to make appropriate use of IT across all subjects in the curriculum and for their social benefit. As part of this, we recommend that all pupils bring a device with them to lessons. This enables research, collaboration, content creation and all of the other benefits which technology can provide, whenever the teacher chooses to make use of them. Our wifi network covers the whole of the campus and specialist IT suites are available for subjects such as Photography, Music Technology and Computing. In order to encourage effective, responsible and appropriate use of IT, we have an active ‘Digital Citizenship’ programme, which aims to equip our pupils for the modern world and encourages safe, appropriate use of the internet. We plan annual trips to our partner school in Sierra Leone. We also have regular exchanges with our partnered school in Guangzhou – Xinghai Middle School of Music. Find out more about what we have to offer our international students. At Wells, we work to nurture and stimulate every child and to provide a secure educational atmosphere, within a setting that is musically alive. We aim to create a supportive, non-stigmatised and inclusive educational environment that promotes learning and development for all of our children irrespective of their starting point. We believe that every pupil in our school should have an equal opportunity to enjoy their education and make the best possible progress. We have high but appropriate expectations of our pupils; embedding our philosophy of esto quod es (be what you are) into our practice, and valuing all children for their individual strengths. Our SEN team is led by the Heads of Learning Support, spreading across the Senior School, Junior School and Early Years Foundation Stage; Lauren Hadley, Juliet Knollys and Rebecca Allen respectively. Please feel free to contact us on 01749 834200 or follow the links below if you would like any further information. We are one of the very few independent schools to have moved to a six term year. Our terms tend to be shorter than maintained sector schools largely because we have school on Saturday mornings for pupils from year 9 upwards. Although lessons on Saturday might seem like a challenge to some, most families find that it isn’t all that different than the typical Saturday activities most families participate in anyhow, and enjoy being able to avoid the peak travel fees during the holidays! Please click here for our Academic Calendar, including future dates (see page 2). 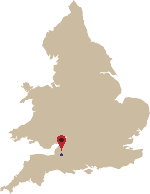 We’re located in the heart of Wells, the smallest city in England with a population of only 10,000. It is a beautiful city to live in; our children enjoy fresh air, green fields and relative safety with few external distractions. Leave the M4 Motorway at Junction 19 (M32). In Bristol, follow signs for Wells A37. Leave the M3 Motorway at Junction 8 and join the A303 westwards. Follow signs for Warminster (A36), then Frome (A362), then Shepton Mallet (A361) and then Wells (A371). Leave the M5 Motorway at Junction 23 and join the A39 eastwards following signs for Wells. Leave the M5 Motorway at Junction 20 and take the M4 eastwards and leave the motorway at Junction 19 (M32). In Bristol, follow the signs for Wells A37. Home to the Bishops of Bath and Wells for 800 years this stunning medieval palace is open for all to enjoy. 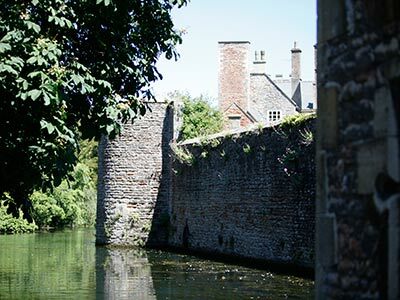 Surrounded by a breathtaking moat you can cross a flagstone drawbridge, under the portcullis and experience a true hidden gem. Vicars’ Close dates back to the 14th century, and it is the oldest street in Europe with all the buildings intact. 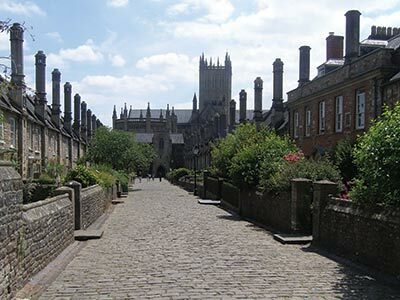 You’ll often find yourself walking along this lovely street as you go about your school life at Wells. 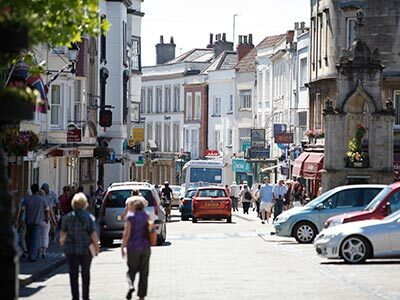 A couple minutes walk will take you to the bustling High Street in Wells, with a range of shops, cafes and even a market on Wednesdays and Saturdays. The Wells Foundation helps us to provide long-term strategic development, funding and sustainability to our school. For more details about how we use the money we raise for bursaries and capital projects and how you can support us in our aims, please visit our Foundation website.